SEO writing is tricky. You want to be alluring. You want to invite people, and for them to s tay. Your writing has to work for everyone within your target audience. To do this, you need to appeal to Google. Once you have Google convinced that your content is valuable, it will do the rest itself. But Google can be very particular. Here are a few of the best SEO writing practices to implement into your blog posts and web content. Remember, there are many tricks of the trade. These are the absolute essentials. This is paramount. You want your content to meet several criteria, including addressing pain points, a narrow focus, a lot of research, and excellent readability. Reel in readers and get them to stay with you for the whole ride. Your content should have a clear purpose right from the get-go. What keeps your readers up at night? What do they wish they knew more about? These are the types of “pain points” you want to consider when choosing a topic to write on. Match it up to a relevant keyword, and you can bet that people will come across your writing. You may find that there is a huge amount of material to cover in regards to your topic. Don’t spread yourself too thin. Focus on one aspect that you think is especially pertinent, and save the rest. You can use it as fodder for future blog posts. No matter how much of an authority you are on the subject, always research like it’s going out of style. It will add depth and richness to your copy, and lets people know you and gives your conclusions greater authority. Choosing a keyword can be difficult. If you have a topic in mind, you need to make sure you have a keyword that is both relevant and searchable. You want a keyword that is a common search term, but that also has relatively low competition. The Google AdWords Keyword Planner is a great tool to determine the right keyword. Deciding on an ideal keyword can be difficult. But it is everything when it comes to SEO writing. Do yourself a favor, and plan ahead. Brainstorm and outline what you are going to say. Brilliance from stream of conscious writing is few and far between. Your main points you want to cover can become your headings. If you know what you are going to say beforehand, you can focus on your eloquence during and after you write. The title of your post doesn’t need to include all the awesome facts and lines. That’s what your content is for. But the title absolutely needs to draw your leader in. A perfunctory summary of your content is rarely enough. It needs to spark. The length of your headline is also vital. Make sure your headline is long enough to get your point across, but not so long that Google can’t display the whole thing in search results. An example of a poor title with the keyword “painting”, for example, would be “Painting Your Living Room.” It is a little short, and very unspecific. Is it a tutorial on how to best paint your living room? Is it a story about a man painting? A more specific, and better title might be “Painting Your Living Room is Great Stress Relief.” Whether you agree with the statement or not, the title itself works. It is a good length, and it introduces you to the topic: painting as a form of stress relief. Your blog’s design should reflect the nature of your website. We won’t go into this much since we are focusing more on SEO writing. But if you are writing for a professional audience, it is important to have a clean, professional look to your site. This refers to the way you organize your text. There are a few main things to remember when formatting. A good way to streamline your text and increase not only readability but SEO, is to include headings. Headings should very loosely tell the story of the post. The text under each heading elaborates and gives clarity and detail. At least one, preferably more, of your headings should include your keyword. It’s elementary, but something about having your keyword in bigger, bolder letters makes it more appealing to Google. Keep text between headings less than three hundred words. Paragraphs should be between three and five sentences, usually. The more concise and to the point you can be, the better. Specifically, paragraphs with one-hundred fifty words or more are poison to your SEO. Your readers are, first and foremost, visual. An appropriate, relevant image (or even better, a video or graphic) complement your copy in a way that two or three paragraphs never could. Instructional, testimonial, and other videos are excellent. Include alt text with your images, and your keyword in your alt text. Google just sees your image as pixels. If you explain it to Google, Google will reward you with optimal SEO. Be conscious of copyright law; always remember to use images with permission. 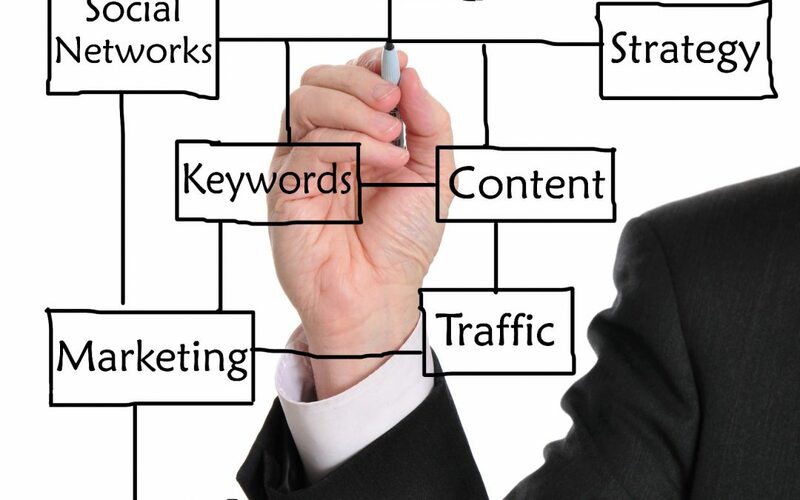 Backlinks are when other websites and content creators put a link on their website directing visitors to yours. Search algorithms look at this as a measure of the quality of the content on the page, which makes sense. If others are referencing your work then it is likely high-quality information. Getting backlinks is an important component, but there is no silver-bullet solution. Buying backlinks or having low quality backlinks can do more harm than good, so better to ignore those options entirely. Instead reach out to industry peers, guest post on other blogs, and find places where your blog is already mentioned and follow up with authors to see if they will add links. Results are spotty, but you can be rewarded for the hard work. Also, don’t forget to return the favor by linking your sources. No matter how meticulously you plan and outline, nothing is perfect after the first draft. It is vital that not only you read and re-read your content, but that other people do as well. There are a few different facets to a proper edit. You know your ideas better than anyone. Do they flow on paper (or screen) as well as they did into your mind? Are there any spots where your fingers typed faster than your thoughts? Does it still make sense? A second read-through can be very revealing. Now that you’ve read all the way through it and it’s perfect, give it to at least two other people to read. They will see all sorts of things that you never caught. Once you get outside of your own thoughtsphere, you can get a fresh look. Take criticism well. This is important for both you and whoever receives your content to edit. You want to get the essence of the content before you go about making changes out of context. Read thoroughly and thoughtfully, but keep the red pen in your pocket until you’ve read all the way through. After publishing your content, promote it across every relevant platform. And do it frequently. There are a lot of different theories about when it is best to post on social media. Pay attention to these optimal times for each platform. Always link to where the original content is, and do not duplicate it anywhere else. Google loves unduplicated content. Learning to write for search engines can help you become a better writer in general. It helps you to stay focused, concise and communicate clearly. As you follow these practices, you will continue to learn what works best for your brand and your target audience. You will also acquire different skills and learn new tricks that are unique to your content. In the end, SEO writing for Google will put you in good graces with visitors and readers on your site.